Just a thirty minute drive north from Manhattan will take travelers to a place that’s filled with sights and structures that have as much historical relevance as beauty. 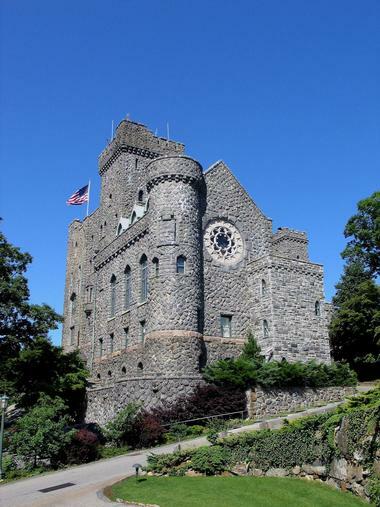 Among all the fascinating places to explore within the Hudson Valley lies the Castle Hotel & Spa, one of the most enchanting destinations for those looking to escape the modern day world. 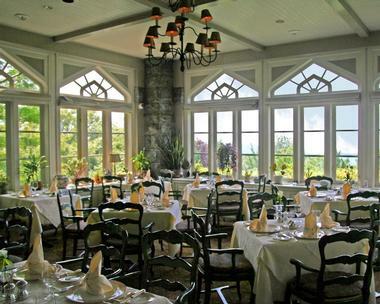 Those who live in New York City and the Westchester County recognized the area for its fine cuisine and romantic spots. Today, it is known as one of the best places to visit and explore. Known for its luxurious accommodations and lavish facilities, the Castle Hotel & Spa has been the choice of recurring guests from all walks of life – from well-known dignitaries and celebrities to businessmen as well as families looking for a break from the city life. It is also famous for its award winning restaurants and spa. On top of its wide variety of accommodation types ranging from Deluxe Rooms to Luxury Suites, Castle Hotel & Spa has 31 newly furnished guest rooms. All the guest rooms have complementary Wi-Fi and Radio & Bose Sound systems while some of the suites have wood-burning fireplaces. The Deluxe Rooms offer the basics of luxury in the hotel. They also happen to be the newest, located in the Carrollcliffe wing of the castle. They have everything you need for a comfortable yet affordable stay in the castle – a desk, armoire, flat screen TV, and internet access. Each Junior Suite comes with a king-sized bed and a sitting area. The rooms offer more space, have private baths, and comes with a complimentary deluxe mini bar. The suites can also be connected to deluxe queen rooms upon request. 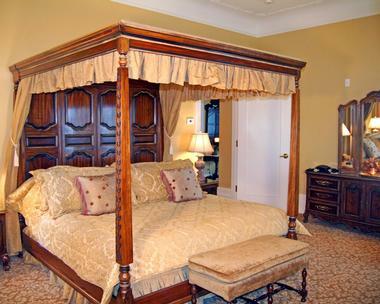 Finally, the Castle Junior Suite and Luxury Suites are much larger, more spacious, and have four post canopy beds. It’s located in one of the most historic wings of the Castle and offers a host of the best and most luxurious services the hotel has to offer. You may also like: 50 Best Things to Do in the Hudson Valley, New York. The Equus Restaurant is renowned for its cuisine and has a five-star rating from the American Academy of Hospitality Sciences. On top of the beautiful interior design, Equus is well known for its Auberge-style French dishes which have been prepared by award-winning chefs using only the best ingredients of the season. - The Library, which is great for diners who love being surrounded by Mahogany bookcases and an overall old style and neoclassical surroundings. Equus will have its regularly served cuisine, but from time to time it will have something different. Some dishes are only available when its ingredients are locally in season. In addition, certain holidays such as Valentine’s Day have their special menus. There’s also a New Year’s Eve Equus package available on December 31, where guests receive a one night accommodation plus a 5-course meal for two on New Year’s Eve. The restaurant, however, doesn’t really serve menus for children since they intend to preserve the restaurant as a fine dining area for adult guests. The appropriate attire for the restaurant is business casual. Table reservations can be easily made online. Just like the restaurant, Castle Hotel & Spa’s bars come in a variety of ambiances. There are the General’s Bar and the Tapestry Lounge, both of which are perfect for socializing, relaxing, or enjoying a light meal. Meanwhile, the Terrace and Pool Grotto Bar is a suitable place for those looking for a more romantic environment or cocktails. The first of its kind to open in the United States, Thann Sanctuary is Castle Hotel & Spa’s place of serenity and relaxation. Thann is actually well known throughout Asia for its art of natural therapy as well as holistic spa concept. There’s are wide variety of spa services to choose from, depending on the guests’ needs. For those looking for the best that Thann is known for, there’s the Thann Sanctuary Signature Massage and Nano Sisho Therapy. Apart from that, there’s also a selection of massage therapies (i.e. Swedish, Foot Therapy, Head, Neck & Back, etc.) as well as a variety of Thai massage services (i.e. classic, aromatic, and with herbal compress). Guests can also get facial and body treatments. Castle Hotel & Spa offers interesting packages that guests will want to try out, such as the Serene Sunday Getaway or the Awakening and Rejuvenating packages, all of which are designed to promote a more holistic spa experience. Access to spa services is also included in Castle Hotel & Spa’s Monthly Spa Membership Day Package. Thanks to its wonderful environment, the Castle Hotel & Spa is a great venue for all kinds of grand social gatherings. The hotel’s professional event planners and a culinary team are available to facilitate any special occasion. There are many different private rooms available to cater to the needs of the event and these venues can be styled to the taste of the celebrant. Castle Hotel & Spa is well known for being an ideal venue for birthday parties, engagement dinners, graduations, rehearsal dinners, cocktail receptions, and even poolside celebrations. Guests can also request to have the venue made entirely private. The corporate scene of New York and Westchester is also familiar with the Hotel as a venue for business and leisure. Castle Hotel & Spa has approximately 3,300 square feet of professional and comfortable meeting space throughout different environments. This means that corporations and businesses can conduct meetings and corporate retreats of all kinds and volume and Castle Hotel & Spa will have the right venue for that. The place is also great for weddings. 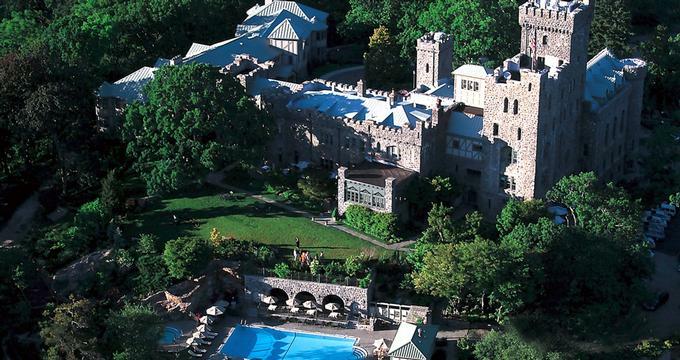 With such stunning gardens and the beautiful Hudson River Valley, couples will find the premises of the Castle Hotel & Spa to be a magical backdrop for one of the most important days of their lives. Whether they prefer an enchanting garden wedding or a Great Hall with beautiful stained glass windows, the hotel’s unique architecture will surely make exchanging marriage vows an unforgettable experience. 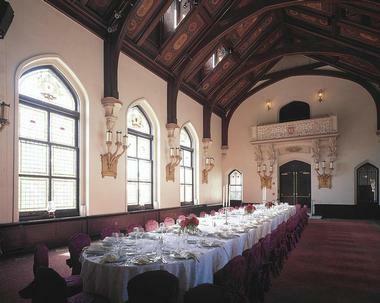 After the wedding, Castle Hotel & Spa’s culinary and events staff will see to it that the reception is made personal and unique to the wedding. To maximize the guests’ experience in the Castle Hotel & Spa, there are some packages that they can try. Each one offers a unique experience on top of their accommodations and access to other basic facilities. The Castle Wings Air Helicopter Package starts guests with an aerial tour of one of the world’s most famous skylines. Guests are flown above Manhattan in a private helicopter and across the Hudson Valley. It will then land at the Westchester County Airport where a luxury car will take them to the hotel for their accommodations, other tours, and access to the spa. For those looking for a quiet evening with a loved one, the Castle Classic Package offers one night stay in a deluxe room with a four course dinner as well as breakfast for two. 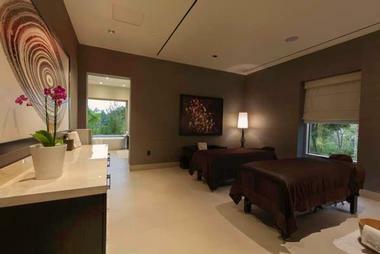 Those looking for a better spa experience will want to consider the Mind, Body, & Soul Package. On top of the one night accommodation in a deluxe or junior suite and a four course dinner for two, the guests are treated to 60-minute spa treatments. For health and wellness, Castle Hotel & Spa has a Health and Fitness Centre that’s fully equipped to cater to those looking for strength or cardiovascular training. There are also private and group Yoga classes that guests can sign up for. Just outside the Pool and Grotto Bar is the hotel’s pool that overlooks the Hudson River. Aside from the large sparkling pool, the area also has a Jacuzzi as well as a poolside waterfall just near a beautiful garden. Guests can also avail of the personal shopper service of Joan Kaufman, a famous costume designer for film stars, who will be working closely with her clients to suit their style and taste. Finally, the place is filled with opportunities for other recreational activities. Nearby Sleepy Hollow is the 1,000 acre Rockefeller State Park Preserve where people can go hiking, have a picnic, bird watch, and even horseback riding. 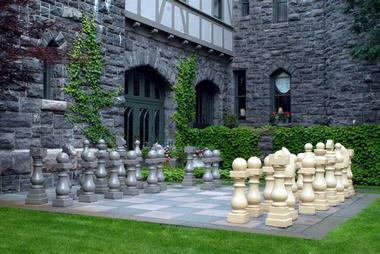 There’s also a space dedicated for croquet and a life size custom chess set for those who are interested. Find more great weekend getaways from NYC and day trips from NYC.